A place tucked away in a little street in Falset. Carefully prepared local produce that reflects a love for the land and its fruit. A proposal for our times with a long, firmly grounded history. An endless idyll with the wine and vineyards of Priorat and Montsant. Local cuisine from local territory, from our origins, from Falset and from our land, Priorat, and at the same time, of our times. Local in-season menu proposals with history. For large and small special occasions or for everyday enjoyment with our care and collaboration. 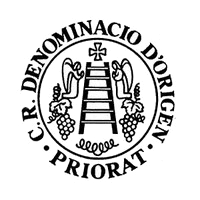 If we’re talking about Priorat, then we’re talking about wine. A long and winding road from the Carthusian monastery of Scala Dei to major wineries and small projects by great wine growers. The slopes, Grenache, Carignan, and Samsó. The slate soil, the weight of history, the strength of the Montsant, the sturdy vine, Porrera. Capçanes, Marçà and Morera, Bellmunt, the wines of Vila and Poboleda. Gratallops, El Lloar, El terrer, Bellmunt and Vilella. Endless lines of work and passion, from the land to the table and from the wineglass to the soul. History describes it as a magical setting. The Carthusian monks settled there from Provence, and wine growers from all over the world have planted their vineyards there. The Serra del Montsant mesmerises, standing impassive before Siurana. Small streams form a mosaic of valleys and stone farm cottages. Slate slopes toughen the terrain and the vineyards, conferring the spectacle of landscape filled with strength and energy. The visitor and traveller are left astounded by this eternal land.